The Dampt family has a long and illustrious tradition of winemaking in Chablis, with Daniel Dampt and his grandfather Jean Defaix both owning highly regarded estates in the region. 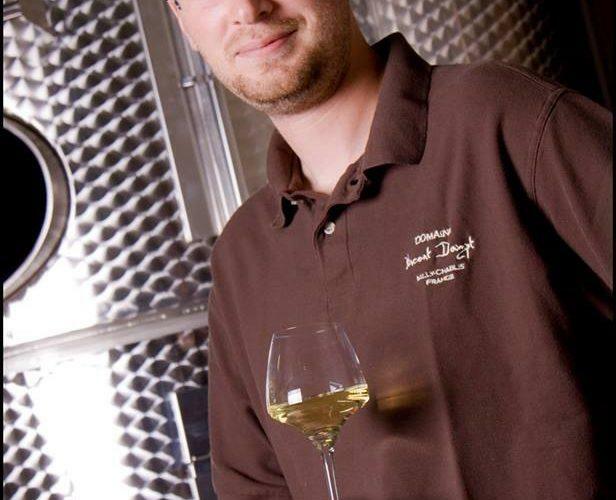 Daniel's son, Vincent, grew up in this world of Chardonnay and decided to follow in the family's tradition by enrolling himself in wine school at the young age of 14. After graduating, he trained for a short time in the Jura before gaining a position at none other than Domaine Leflaive in Puligny-Montrachet. In 2002, after finishing his training at Leflaive, Vincent began working with his father as winemaker for the family's estate. After two years, he inherited a few small plots of vineyards, enabling him to create his own domaine. With full control over aspect of farming and winemaking, Vincent truly came into his own as a top tier producer in Chablis with wines that speak of precision and elegance. Vincent's Chablis vineyards are exquisitely situated on the left bank of the Serein river, on the famous Kimmeridgian marl; a mixture of clay, chalk and marine fossils. For his village and premier cru wines, Vincent vinifies exclusively in tank to preserve every bit of the classic Chablis cut and minerality. With his micro-production Grand Crus, he ferments and ages the wines in older barrels. The fruit for these wines comes from prime parcels in Valmur and Les Clos, showing every bit the majestic qualities that have made these vineyards legendary. With his minimalist approach in the cellar, Chablis rarely is able to express itself with such clarity. Wine Enthusiast 92 Online Exclusive "From the top of the slope of the Côte de Lechet, this bright and beautifully crisp wine has a strongly steely, cool character. It is structured, full of citrus and sliced apples. A rounder character will come over the next year or two. Drink from 2017. — R.V.